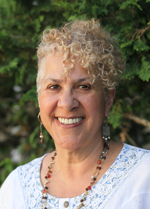 Shakti holds a PhD in transformative learning and change and is the founder and president of World Trust Educational Services, a nonprofit social justice organization. She lives in Oakland with her husband, Shiva, and their daughter, son-in-law, and four grandchildren. This satsang delves into the significance of the Shaktipat Intensive and its profound benefits. In this satsang, participants have the opportunity to deepen their understanding of the goal of the Shaktipat Intensive and appreciate how each Intensive is a step forward in strengthening their spiritual journey. This event is streamed via the Siddha Yoga path website or available at Siddha Yoga Ashrams, meditation centers, and chanting and meditation groups. To participate in this satsang, sign in to your account on the Siddha Yoga path website. There is no registration fee for this event. As the Siddha Yoga teacher spoke about pratimilana, merging with the Self, I saw myself as a beautiful princess on a jeweled throne. Just as a crown was being placed on my head, I became formless and disappeared. A wondrous feeling arose—the sense of joy and perfection remained, but it was not associated with being any particular person. I am so grateful to experience this delightful sense of the Self, with the understanding that during Intensives, the shakti works in mysterious ways—sometimes dramatically, other times subtly—to anchor me more firmly in the bliss of the Self. As one who has taken many Shaktipat Intensives, I experienced this satsang as profound and very helpful. I felt calm, in touch with my Self. When I saw the name of this satsang, I felt that the word was coming into my heart directly from Gurumayi. So I began repeating it, and the experience evoked in me a sense of joy at this manifestation of my Guru's grace. Pratimilana—what a beautiful word! And what an inspiring meaning— "merging with the Self." As I continue repeating this title to myself, I feel gratitude arise for the priceless gift of the Siddha Yoga Shaktipat Intensive and for this opportunity to experience pratimilana, merging with the Self.